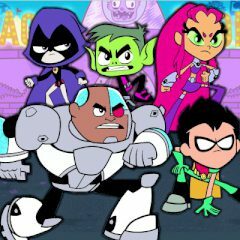 The Teen Titans are in a constant confrontation with an evil armed formation, also known as H.I.V.E. 5, or just Hive Five. As you know, good always defeats evil, but this mission will be difficult for the Titans! Help them to resist the intrigues of H.I.V.E. 5!